I have been enjoying time with family for the past week, and it has been a great and restful time. Every family has those “unique” traditions that makes them special, and our family is no different. One of the particularly unique things that my mother does is keep all of the “solo” plastic cups from holiday to holiday. ALL of them. There are so many of us that we have to write our name on our cup with a Sharpie. 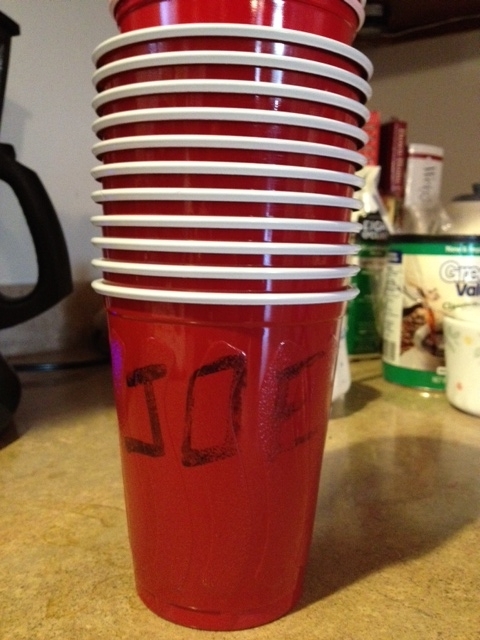 When the holidays roll around, we just look through the cups and find one that we have already signed years ago. Perhaps that is the reason my parents have enjoyed a great life raising six boys and have been able to retire when they chose to do so. Do you have any interesting “re-use” stories in your family?